Cape Town - Premier League winner Claudio Ranieri doesn't believe that Chelsea boss Antonio Conte is suffering from homesickness, but is rather frustrated in his job. 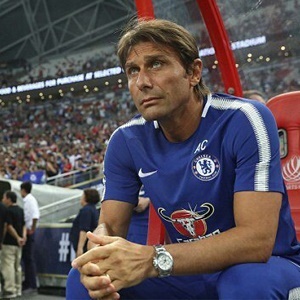 Conte revealed earlier in the season that he was disappointed with the Blues' transfer dealings and wanted to strengthen his squad more to prepare for life in the UEFA Champions League. The Italian is reportedly eager to return to his homeland, but compatriot Ranieri believes his discontent is based more on the fact that Manchester City and Manchester United appear to have surpassed the English champions in terms of quality. "The Premier League remains the top, and I'm not convinced by Conte's homesickness," the Nantes manager told Gazzetta dello Sport. "Maybe he was expecting a different transfer campaign, but for a few years now [Roman] Abramovich hasn't been doing crazy spending. "Manchester United and Manchester City have made great signings, so I imagine it's more draining for Antonio to be fighting on two fronts with the same players." Chelse next travel to Selhurst Park to face cross-town rivals Crystal Palace in an English Premiership clash on Saturday.